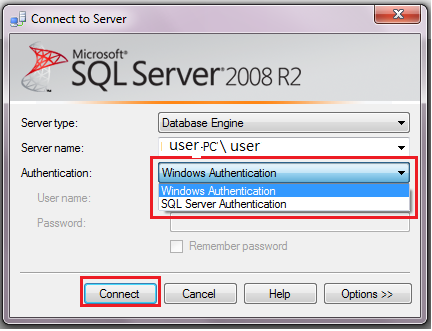 This blog defines how to set password of SQL Server after installation. Int hat case you can follow these steps to activate password mode. 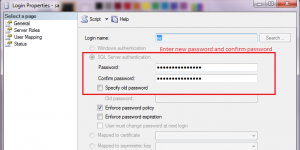 When you are forgot your password in SQL Server authentication nothing to worry. 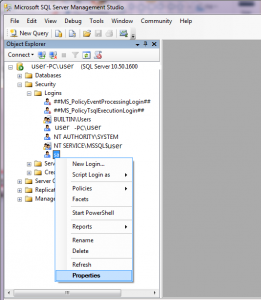 First open your Microsoft SQL Server Management Studio. 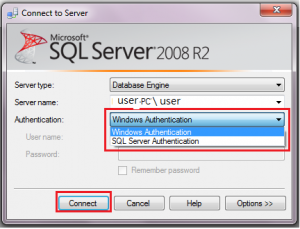 Select ServerName and first select Authentication type is Window Authentication and Connect. 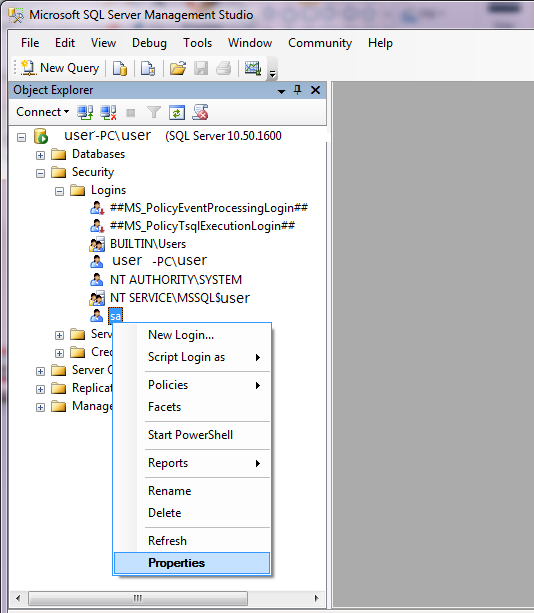 Now showing Object Explorer in left side. 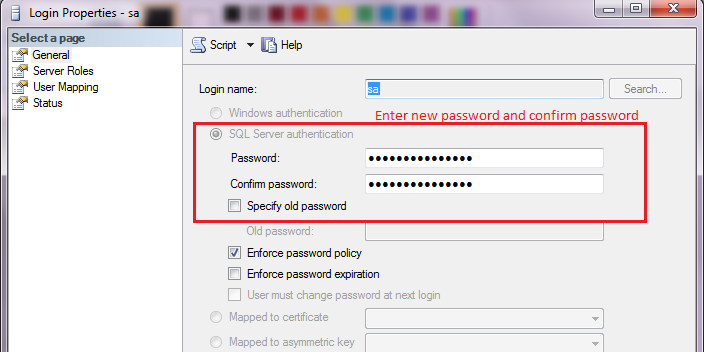 In Security > Logins > Select your sql server authentication username. And right click on username and select properties.